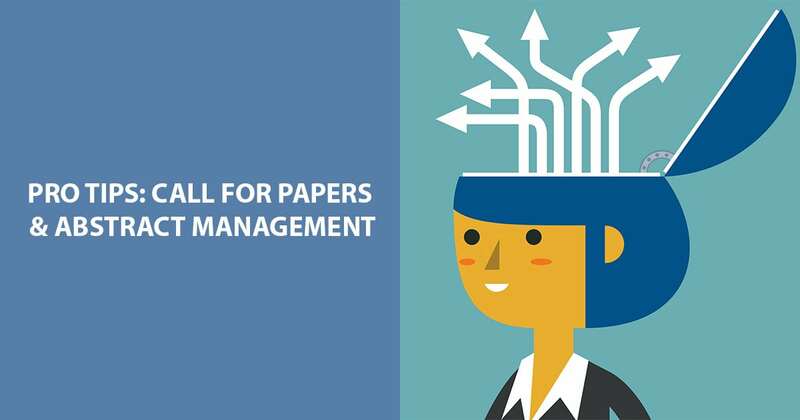 As a follow-up to our newest whitepaper, Best Practices for High-Quality Content, which outlines simple changes organizations can make to streamline call for papers processes and mitigate problems, we asked our abstract management project managers to weigh in even further. Our panel of five field experts each work on hundreds of conference every year. While every conference is different, they often find themselves providing the same advice to new customers—advice that can save a tremendous amount of time and frustration. Q: One of the whitepaper tips is to “prepare your forms to collect all necessary data.” What does this mean, and why is it so important? Erin: People spend a lot of time unnecessarily chasing down data from submitters at the eleventh hour because either they didn’t think to collect it, or they didn’t think they would need it. It’s really important to first understand where all of the collected data is ultimately going to live and how it’s going to be used, so we can help our customers get exactly what they need. John: If the planner has a sample of what their final conferences materials will be, possibly from a previous conference, we try and get that early on in the abstract management process. The customer doesn’t think of the data the same way we do, and they shouldn’t have to. That’s our job. We look at the conference materials and make the connection between what’s actually being published versus what’s being included on the collection form. Paul: Here’s a real customer example of why collecting all necessary data on your form is so important; I noticed that one customer published the city, state, and country for each of their authors, but they weren’t asking us to collect it on the form. We had time to change that before the call for papers opened, which ultimately saved them a lot of time! Ashley: Best practice tip: If you know you’re going to need specific information, make it required in the first round of your call for papers, so you’re asking people to come into the abstract management system as infrequently as possible – they’ll really appreciate it! Erin: At the same time, we do want to be mindful of how much people are asked to provide early on. We push our customers to really think about whether they really need some information, and if they are really going to use it. It’s a fine balance that we help customers maintain. Q: Are there other ways that data is sometimes used that customers don’t always think of? Dave: Reports! Sometimes a customer will need to have certain data sets for internal reporting purposes, but they may not have collected it because they weren’t thinking of reports at the time. But the reality is, even though the conference site is still being built and they won’t to access reporting for several months, providing all data sets upfront helps streamline the process. Q: What about data quality? How can we ensure an author provides a completed, high-quality submission? John: It’s all about the fields you use on your submission form. You have to break up data into smaller pieces. Otherwise five people will fill out the same field five different ways. Erin: This is a huge culprit! For instance, don’t just include a “Name” field. Break out “First Name” and “Last Name” into two separate fields. Paul: And, think of everything your authors are going to want to provide, like credentials and designations. If you don’t have a specific space for it, they’ll find a place to put it anyway, and that causes a lot of unnecessary data cleanup on the back end. Dave: Co-authors can be tricky too. If the submitter is the only person that has access to that submission, they’re going to have a hard time completing it if they don’t know all of their co-authors’ information. So, on your instructions, tell your authors to gather all of their co-author information ahead of time, and it will be a much easier process for them. Q: Speaking of instructions, how do they factor into the submission and review process? Ashley: Instructions are incredibly important! Having clearly-written instructions that are easily accessible at the right points during the submission and review process will increase compliance and quality substantially. John: Keep your instructions very simple, and break them out into smaller, more digestible pieces. Some customers have a tendency to try and over-explain, and this actually causes more confusion and misinterpretation. Erin: Be sure to have a brief overview of basic qualifiers on your conference website, where the call for papers is being advertised. This allows authors to determine whether their topic is a good fit before they get into the system and start a submission. Paul: And don’t forget about you reviewers. Be sure you write instructions for them as well. Q: If you could share just one piece of abstract management wisdom with all meeting planners, what would it be? Erin: Finalize the big decisions about how you want the process to go at the very beginning, so you don’t find yourself having to change anything while you’re already in the middle of collection. I’ve seen this happen with some large committees, and the customer then had to go back and ask hundreds of authors to come back into the system and update information. Ashely: I’m going to add to that and say that it’s also important to determine early on who will be the designated point of contact for everything, and funnel all communication and decisions through this person. It simplifies the process tremendously, and you won’t have multiple committee members inadvertently providing conflicting information. Paul: Provide a designated contact to field questions from submitters—particularly new submitters. Some customers don’t think they want to do this for a variety of reasons. Not having this available and accessible creates frustration for a potentially high-quality speaker. Dave: Consider reducing the number of reviewers you recruit. I’ve had customers that wanted to assign a single reviewer to a single submission. With fewer reviewers, you actually get better data because they are seeing a bigger pool of submissions and have more context on quality. John: I think the biggest thing for meeting planners or program chairs to know is they don’t have to be tied to legacy processes just because that’s the way it’s always been done. There may be an easier way to achieve the same outcome, so let us help you explore that option. That’s what we’re here for. Do you have a question about your current submission and review process that you’d like to run by an abstract management expert? We’d love to help!